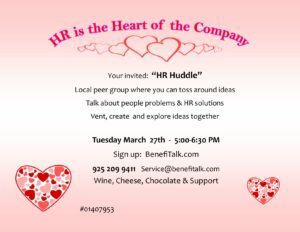 You are invited to a local peer group where you can toss around ideas, talk about people problems & HR solutions, vent, create and explore ideas together with like-minded professionals. If you would like to take part in our upcoming event, please fill in your details in this Event Registration Form below and you will be automatically registered. Event registration must be completed at least seven (7) days prior to the event.